Partner John D. Tower’s primary focuses are Civil Litigation and Municipal Law. He served as New Milford’s Town Attorney from December 2015 through September 2017, a role he shared with Partner D. Randall DiBella. He was Assistant Town Attorney for New Milford from 2003 to 2015. Based on long experience and a history of successful outcomes in wide-ranging civil litigation for private clients, Attorney Tower often takes on more complicated cases involving construction, contract, property, business, partnership, trust, and estate disputes. As part of Cramer & Anderson’s interdisciplinary team approach, Attorney Tower additionally plays a key role in such cases as the one in which the firm obtained a $1 million settlement for the family of a man killed in a cycling accident. Passion for the law, rigorous research and preparation, and exacting attention to detail are qualities Attorney Tower brings to all of his Practice Areas—but he is also known within the firm and beyond for his tendency to make instant connections with people and engage with everyone in a manner that’s as friendly and easygoing as it is professional. Attorney Tower’s empathy for those who have been wronged was notably displayed in a recent case involving a client scammed by a home improvement contractor. Winning a trial judgment of more than $471,000 should have been cause for celebration, but when it became clear the contractor lacked funds to pay the judgment, Attorney Tower pursued an outside-the-box strategy that produced a very creative successful outcome—the community coming together to the rescue of the wronged client. In his Municipal Law role, Attorney Tower represented the Town of New Milford and other area towns in a variety of actions. He advises officials on matters of law, oversees the drafting of ordinances, assists in negotiating contracts and contract renewals, and represents municipalities in disputes with vendors. 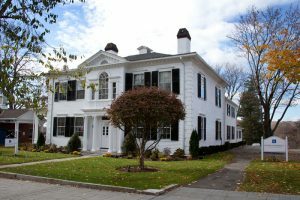 Attorney Tower regularly handles tax appeals involving complex valuation issues for towns that have included New Milford, Kent, and Washington. On behalf of Cramer & Anderson’s municipal clients, Attorney Tower has handled matters before the Connecticut Superior Court, Connecticut Appellate Court, and U.S. Bankruptcy Court. Attorney Tower has been a Cramer & Anderson Partner since January 2000. He joined the firm as an Associate in 1994, after serving as an attorney in the U.S. Government Accountability Office (GAO), Office of General Counsel, Legal Services Division, in Washington, D.C., for nearly five years. He has practiced law since December 1989. Attorney Tower’s Paralegal is Kelly Simpson, who may be reached at (860) 355-2631 or by email at ksimpson@crameranderson.com. J&M Co. v. Whynott, 2004 WL 2397329, 38 Conn. L. Rptr. 23 (Conn. Super. Sep. 22, 2004) (No. CV 040182710S).